Delhi is a cultural and tourism hub. 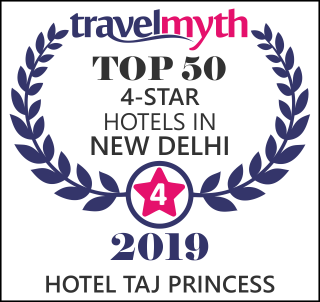 It has an abundance of hotels where one might stay while visiting the city.Undoubtedly one of the best hotels in Karol Bagh New Delhi is the Taj Princess. The Taj Princess hotel is one of the best hotels in Central Delhi and is surrounded by the bustling busy markets of Delhi. There are different types of rooms available at different rates to suit your needs. It definitely stands as one of the Good Hotels in Karol bagh New Delhi If one is looking for a good as well as a comfortable stay then Taj Princess is what one is looking for. With our amazing service and pocket friendly rooms, we promise to provide for a wonderful trip one one's life.